I read about 64 books in 2009. They included genres of historical fiction, general fiction, regency styles, and non-fiction. This was my first year of reviewing books for authors and publishers, and it has opened up my reading world to many new authors that I otherwise may not have read. It has been the inspiration of other bloggers' reviews and recommendations that have increased my collection of books, which has grown from roughly 100 books to probably 500 books over the last year. I joined Paperbackswap, bookmooch and swaptree, which helps decrease my costs. I won a contest at Alibris where I won $100 worth of books, and I also won 25 books from Paperbackswap. I also won several giveaways, sponsored by bloggers, publishers and authors. My complete review list can be found here which will show what I rated the book at the time as well. The specific titles mentioned below will be linked to the review I wrote. Sometimes even a 5 star rating or 4 star rating doesn't differentiate how the book resonated with me months later; so not all 5 star reviews made it to my favorite of-all-time type of a status. From Georgette Heyer, I really enjoyed Arabella (reissue 2009, 5 stars). A classy, witty, regency-style read that was comic in nature. Georgette Heyer is a new-to-me author for 2009, and I am working on collecting the rest of her romances and mysteries. 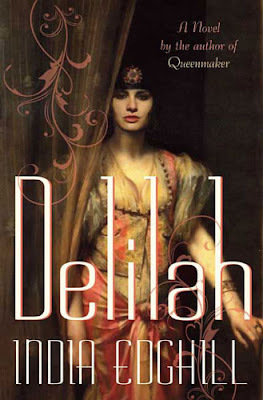 Biblical fiction is another new-to-me genre, and I really enjoyed Delilah by India Edghill (2009, 4 stars). It was a suspenseful read that had me hooked on its love triangle angle. My favorite fictional book on Royalty was probably The Last Queen by C.W. Gortner (2009, 5 stars); it was an inspiring read that was done on a subject who seems to have been largely misunderstood, and forgotten over the years. The author did a fabulous job of pulling me into Queen Juana's world. As a sort of thinker-type book, I really enjoyed Burnt Shadows by Kamila Shamsie (2009, 4.5 stars) which was about the effects of war on a group of family members. Another surprising read for me was The Housekeeper and The Professor by Yoko Ogawa (2009, 5 stars) which was an endearing story of little boy, his mom and the man she worked for. I was also inspired by Sacred Hearts by Sarah Dunant (2009, 4.5 stars) moreso than others were; it was a thought provoking read that also had me intrigued with the setting of a convent in Italy. The author's writing style really engaged me throughout this read. Another enjoyable read was The Day the Falls Stood Still by Cathy Marie Buchanan (2009, 4.5 stars), which was a fabulous debut for the author and an inspiring story of one family's relationship with the economy and the Niagara Falls. In another historical genre, The Twilight of Avalon by Anna Elliott (2009, 4.75 stars) which is set in the aftermath of King Arthur's court with the love story of Tristan and Isolde. This is a trilogy, and Dark Moon of Avalon will be released in the spring of 2010. Finally, in the fictional group, is Cleopatra's Daughter by Michelle Moran (2009, 4.5 stars ) which was a very moving and touching story of Queen Cleopatra's remaining surviving children after Cleopatra's death. I cried during this one, and wish for a sequel. 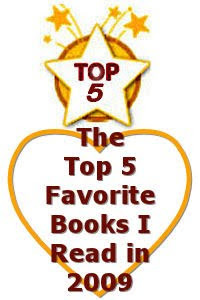 I read ten non-fiction books this year, from the Tudor genre to inspirational books. My favorite non-fiction was Elizabeth's Women: The Hidden Story of The Virgin Queen by Tracy Borman (2009, 4 stars) which easily helped me to understand Elizabeth I with such a greater understanding that I really don't think any other book could accomplish. This is one that I hope to read again soon. For 2010, there are many promising-looking releases that have been scheduled, and I think it is going to be another great year for readers, especially in the historical fiction genre.